In 2008, the Canadian company Reservoir Capital Corp. had established a subsidiary in Serbia, Renewable Energy Ventures DOO (REV), which obtained the energy permit and started a project of two hydro power plants (HPP) on the River Lim. The idea of the project was created 50 years ago, by the Yugoslavian state enterprise, but it was never developed. The idea was renewed 10 years ago with the new project plan. In 2010, The Serbian State Secretary in the Ministry of Mining and Energy emphasized the importance of the projects as Serbia would have to produce certain percentage of electricity from renewable energy sources in order to access the European Union. He added that Serbia was not sufficiently exploited its hydropower, as well as that the project of two HPP on Lim are just one of the many project in the field of renewable energy Reservoir Capital Corp plans to invest in the region. The planned locations of two HPP are in south-west of Serbia near the state border with Montenegro, 3 km upstream and 10 km downstream of village Brodarevo, in a landscapes of exceptional quality. In January 2009, the sub-contracted company Energy Saving Group from Serbia prepared a pre-feasibility study for construction of two hydro power plants (HPP) on the River Lim and assisted REV to obtain the energy licence from the Serbian government. This will guarantee the company exclusive rights for this project. In October 2010, REV signed agreement with the Serbian company Energoprojekt-Hidroinzenjering a.d. to do feasibility study and technical documentation for the project, including the environmental impact assessment (EIA). 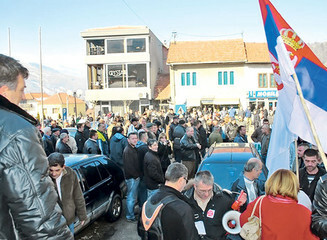 In February 2011, local informal NGO association "Prijatelji Brodareva" organized protest against the project on the main square of Prijepolje. The association claimed that construction of the HPPs would result in climate disruption of the valley and therefore negatively affect local fruit and vegetable production. Besides, building the dam would lead to the submergence of the villages and one cemetery which provoke the strong reaction of the Islamic community. In April 2011, due to the protests and particularly because of the high price of land the company was planning to buy from the local farmers, REV decided to close its offices in Prijepolje and Brodarevo. Based on the REV statements, till than 7,5 million euros was invested in the HPP preparation stage and portion of the state owned land has already been bought. The public debate on project EIA organised in July 2012 resulted in violence, when the citizens of Brodarevo and NGOs activist opposing the project where physically attacked by the company's security. The event was followed by media conference and protests in Belgrade in support of the assaulted environmental activists. In addition, an appeal for respect of the environmental laws and provision of protection to the activists was signed by 77 NGO and handed to the Serbian Ministry of Energy, Environment and Development. A second public debate on EIA was organized in January 2013, this time in the Chamber of Commerce in Belgrade that is 300 km away from the affected community. The organizers of the debate claimed this would prevent further conflicts with the opponents of the project. Even through “Prijatelji Brodareva” sent a written complain on the EIA, they never got the invitation to the public debate. Moreover, the association pointed out that legally established deadline of 20 days for announcing debate was not respected (it was announced only 9 days in advance), while certain persons was not permitted to assist the debate. The association plans to organize the protests in front of the Belgrade Chamber of Commerce on the same day was cancelled as the police informed the activists it would run misdemeanor charges against them. Since the location of two HPP is close to the border with Republic of Montenegro, the potentially affected communities and NGO from that country organised protests as well. After an open debate in Belgrade on 15th January 2013 and the official complained by Montenegro government, the EIA study was given to the Montenegro government and it was published for the first time on the Montenegro's environmental protection agency website which made it accessible for the wider audience. Until then, only hard copy of EIA kept in the office of the Serbian Ministry of Energy, Environment and Development in Belgrade was accessible. In February 2013, after forming an experts commission, the Montenegro Minister of Environment and the ambassador of Montenegro organised a meeting with the Serbian environmental Minister to exchange information on the HPP Lim. In March 2013, NGOs from both Serbia and Montenegro organised joined protest, known as "Five to Twelve" in the border village Kumanici. In May 2013, The Serbian Minister of Energy, Environmental Protection and Development validated EIA study. The NGOs sued the company for irregularities in its EIA and violations of the Law on Environmental Impact Assessment. In July 2013, The Constitutional Court cancelled the company energy permit and stopped the project. However, the company has declared it will not give up the project. Currently, the conflict is once again at the court as the REV is suing activists for molesting company workers, giving the incorrect statements about the company, and spreading religious and national hatred and intolerance. In the past, REV has lost twice in similar court cases. EGOD Annual electricity production = 102.33 GWh and 130.51 GWh. Relevant government actors Ministry of Mining and Energy of Republic of Serbia; Ministry of Agriculture and Environmental Protection of Republic of Serbia; Environmental Protection Agency of Montenegro; Ministry of Sustainable Development and Tourism of Montenegro. Other Potential respiratory diseases, rheumatism, migraine. Development of Alternatives Environmental activists demanded termination of the project. REV claimed that the dams planned to be constructed were small-scale projects and as such could not impact the environment and micro-climate of town of Prijepolje. Why? Explain briefly. The project was stopped by The Constitutional Court's decision to cancel the project energy permit. Newspaper article (Serbian):Hydro power plants on river Lim: Yes or No? Presuda upravnog suda RTS: 28.07.2013.